So, I’m driving down the road – back to my house after making a trip to the hardware store for some round-the-house chores – this past Saturday afternoon and traffic is just a mess…can’t tell if there’s a stalled car up ahead, an accident, whatever…but it’s moving a little s-l-o-w. As with times like these, my mind begins to wander off (more than usual) and I begin to mentally plan out my day (alright, get home…walk the dog…don’t forget to pick up the dry cleaning on the way home…get to that office project I keep putting off) when I get suddenly jolted out of my head space from what sounds like twin girls excited like the Jonas Brothers just pulled up…! I looked over to the right, and sure enough, there they were: 5 girls (girl scouts to be exact) holding up pink and yellow homemade signs, mixing it up with the cars as they strolled by at a snail’s pace. Two were chanting ‘C-O-O-K-I-E-S – THEY’RE Y-U-M-M-Y! We Got Em’!’ while the other few were working the crowds and just being…like kids: screaming, jumping up and down and doing just whatever they could to make people pull over to buy some girl scout cookies. One was chatting it up with a car that had a senior couple, while the other two were just smiling and waving their signs, chiming in when they could about how ‘nutritional’ their cookies were. They were ADORABLE. So adorable, in fact, that I made it a point to pull off the road and go out of my way to buy a few boxes myself (thin mints rock my world) – do I need em’…?….no…in fact, I am supposed to be getting a few more boxes from a niece that happens to be a girl scout herself. I believe I’m supposed to be getting those delicious treats later this week. Take Advantage of The Panic That is Sending People to the Hills: It’s scary when you consider that fact that people are losing their homes, their jobs and, in some cases, their minds in the middle of this economic freefall. But you’ve got to find it in you to see that as people are ‘ducking and covering,’ they’re basically giving you much more of a clear view of everything around you: OPPORTUNITY.The girl scouts probably made a KILLING on Saturday. 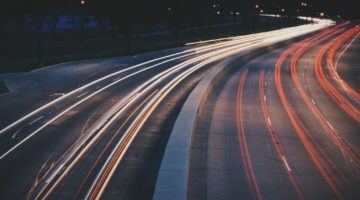 Whether they planned on the traffic moving as slow as it did doesn’t really matter – they used it to their advantage and rocked it out in sales with their charm, enthusiasm and energy. It’s easy to give yourself some time off these days and lay low – no one will fault you for it…heck, most everyone will understand. But if you nudge yourself just enough to take a peek outside, you’ll see that, more than likely, your brand of umbrellas is coming back in style. And the rainy season is about to start. So, whether you sell widgets or expertise, now is the time to take charge of the market. Take charge like a lion does his den; like a queen bee does her hive; like Roger Staubach did with the Dallas Cowboys – with grit and leadership. And seize this moment like those girl scouts did this past Saturday – with originality, creativity and without airs. Just like you. Nice point … did you ever find out that the girls had put a stalled car on the road to stop the traffic? Now that would have been authentic AND creative!!! LOL! Narciso, great point on authenticity of message being a key differentiator that can make the difference between thriving and just surviving. I gotta hand it to the little cookie pushers. They do a great job of getting me to buy their product, especially the Thin Mints! An excellent case in driving your point. Excitement and sincerity is key to be convincing and stirring it up. I’ma sucker for GS cookies. And welcome to the site, Narciso! Being authentic doesn’t have to be so difficult, but it’s really sad to see so many people (see the PRGoofs category right here) just blowing away good opportunities to shine. Great article . . . I can just picture those little girls jumping around and selling cookies. It`s a good analogy, too . . . we really do need to get excited about our marketing! Wonderful post ;) To see an opportunity, one needs a vision of how it could be. To be passionate about one’s vision is, in my opinion, one of the keys to success. Welcome Narciso, very nice introduction of your vision. Narciso, first of all, what a delightful post to read today and secondly, welcome to Pamil-Visions! Indeed, when all else appears to be heading to the dump, in sales, it’s just the right time to get out and get it! Thank you for such a delightful read. We need more girl scouts and those annual cookie sales to lead the way! Well said, Narciso. In these tough times, everyone has to find ways to continue to sell, doing something out of the ordinary to set themselves apart from the pack. I know that it has been a tough year for the Girl Scouts but they do have some good things going for them, being cute among the top. Of course, they sell these wonderfully guilt-inducing cholesterol elevating cookies which are actually a terrible buy, but a big help to what the Scouts are all about. Finally, I believe everyone needs a bit of cheering up, small acts that can break the gloom and remind us that the storm shall eventually pass and we’ll be getting on with our lives once again.